A small increased risk of poorer motor development may exist for children who are exposed to antidepressant medications during pregnancy, according to a systematic literature review and meta-analysis published in the journal Pediatrics. In utero exposure of children is increasing due to more usage of antidepressant drugs during pregnancy. 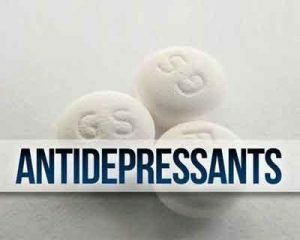 Various studies exist in the literature in which researchers have reported on the potential impact of antenatal antidepressant exposure on subsequent child motor development. Katherine Grove and his associates conducted a systematic review and meta-analysis to determine whether antenatal antidepressant exposure increases the risk of impaired motor development in children. The authors investigated the data from PsychINFO, Embase, Medline, PubMed, and Scopus. Out of the 329 studies identified, 160 articles were screened, 24 were included in the systematic review, and 18 met inclusion criteria for the meta-analysis. The authors found that the systematic review revealed a significant association between exposure to antidepressants during pregnancy and overall occurrence of poorer motor outcomes in children with a moderate degree of heterogeneity. The study concluded there may be a small increased risk of poorer motor development for children who are exposed to antidepressant medications during pregnancy. However, the marked methodological variation among studies and the limited control for possible confounding variables suggests cautious interpretation of these findings. According to the authors, the marked limitation was variation in the measurement of both the exposure and motor development across the identified study, and few followed up to later childhood or beyond. Motor development refers to changes in children’s ability to control their body’s movements. Motor development can be divided into two parts: gross motor development and fine motor development. Gross motor development involves the development of the large muscles in the child’s body. These muscles allow them to sit, stand, walk and run, among other activities whereas fine motor development involves the small muscles of the body, especially in the hand.